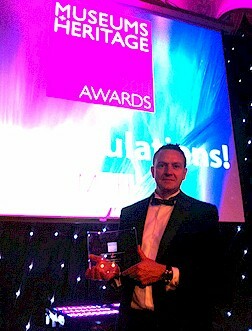 11th May 2011, London: The internationally renowned 1001 Inventions exhibition was crowned Best Touring Exhibition of the year at the annual Museums and Heritage Excellence Awards today at a glittering gala ceremony in central London. Other big winners at the awards were the Historic Royal Palaces in the UK, the National Trust for Scotland and the Museum of Science and Industry in Manchester. Hundreds of professionals from the Museums and Exhibitions industry were there to witness the 1001 Inventions exhibition’s greatest triumph to date. The awards ceremony was hosted by comedienne Sue Perkins and recognised the achievements of the exhibitions industry over the past 12 months. Also nominated in the Touring category were exhibitions by the British Library, Imperial War Museum and the National Museums Liverpool. Collecting the award on behalf of 1001 Inventions and Beck Interiors was Graham Wakefield (Director of Beck Interiors Ltd, construction firm for the 1001 Inventions exhibition) who said "It’s been a privilege for Beck Interiors to be part of the 1001 inventions initiative, and heartening to see how the project has continued to gain momentum and welcome more than a million visitors in its first year. The exhibition still looks as good today as it did on the day it was launched. The first three venues have been a great success and we look forward to future successes. Winning “Best Touring Exhibition” at the Museum and Heritage Excellence Awards is a fitting achievement for a project that has enlightened visitors to the achievements of inventors and scientists of Muslim civilisation. We are both proud and humbled by this project, which continues to attract new audiences to every venue it visits." 1001 Inventions is a global brand that promotes awareness of scientific and cultural achievements from the ‘Golden Age’ of Muslim civilisation and how those contributions helped build the foundations of our modern world. This period lasted approximately 1000 years from the 7th century onwards. 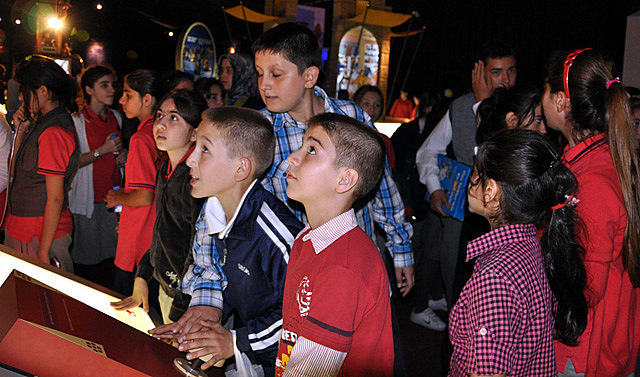 The 1001 Inventions global touring exhibition and the educational products that accompany the exhibition all highlight the scientific and technological achievements made by men and women, of different faiths and cultures, who lived in or were connected with broader Muslim civilisation. Originally funded by the British government and launched in the United Kingdom in 2006, 1001 Inventions was created by the Foundation for Science, Technology and Civilisation (FSTC). FSTC is a British-based non-profit, international network of the world’s leading academics with expertise in the history of science and technology. Both 1001 Inventions and FSTC are non-religious, apolitical organizations and have received support from various arms of the British government, the Wellcome Trust and the British Science Association. 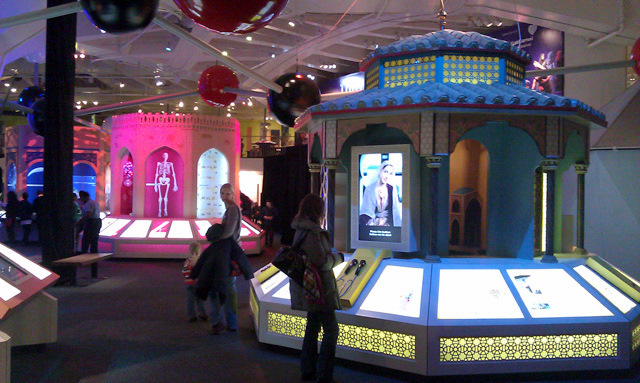 Prior to its launch in London in January 2010, the content of 1001 Inventions was rigorously reviewed by its inaugural host, the London Science Museum. The global tour of the 1001 Inventions exhibition is sponsored by ALJ Community Initiatives, which is the Corporate Social Responsibility arm of the ALJ Group - a Toyota automobiles distributor in 13 different countries. ALJCI plans and operates numerous global programs, such as poverty-alleviation initiatives, artistic and educational projects and technology innovation grants, including a long history of scholarships for students at Massachusetts Institute of Technology.